*This is a review of the original theatrical release from TCM’s Forbidden Hollywood collection. 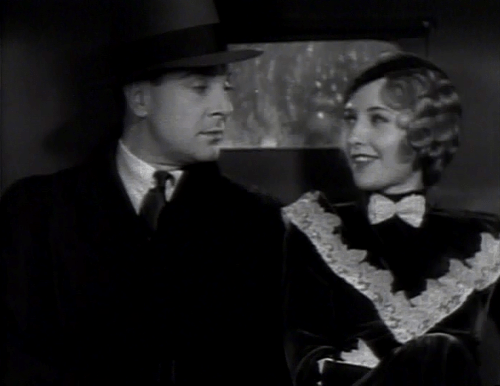 In Baby Face, Barbara Stanwyck plays a girl named Lily Powers who, after leaving her hometown and enduring a less-than-ideal childhood (to say the least), sleeps her way to the top tier of a bank in New York. This is probably the most pre-code-y pre-code I’ve watched so far this year. Though nothing explicit is ever shown on screen, the material is overtly sexual, a trademark of many pre-code era films. Stanwyck’s character of Lily Powers is the personification of this amoral subject matter. She’s manipulative and knows exactly how to use her status as a woman to her advantage. She barely flinches when tragedy strikes and two of her beaus end up dead! This is one of Stanwyck’s strongest early roles that I’ve seen. She plays the character perfectly. The film follows a formula of showing each man that Lily meets and manipulates, and for that reason it may seem like it could be very predictable. It is a bit, in some cases. However, some surprises are thrown in later in the film, including the entire ending. Even during the sections that seem a bit predictable or repetitive, the viewer is drawn in by the brazen attitude of Stanwyck’s character.